The Murray–Darling Basin is home to one of the most mature water markets in the world. Water trading in the Basin is responsible for 95% of the volume of all water traded in Australia. The Basin’s water market is driven by user demand and supply. Users determine whether they need to buy or sell their water at a particular time. The price of water differs across regions, type of water rights and time. The market price is a reflection of these demand and supply factors. The Murray-Darling Basin Authority (MDBA) provides a comparison of the different types of water access entitlements on our website to help water users find the right product for them. Water markets are particularly valuable when water availability is reduced, and different users have to manage water demands of different crops. The market allows water users to make decisions on whether to keep or trade water in a particular season to a buyer who may be able to use it more productively, such as an annual crop farmer selling water in a dry season to another farmer with permanent plantings. Water access entitlements are ongoing shares of the total amount of water available in a system. Trade of entitlements is known as permanent trade. Water allocations are the actual amount of water available under water access entitlements in a given season. Trade of water allocations is known as temporary trade. Water users within South Australia, Victoria and New South Wales, and the Queensland/New South Wales border rivers, are able to trade water across state boundaries and between valleys. 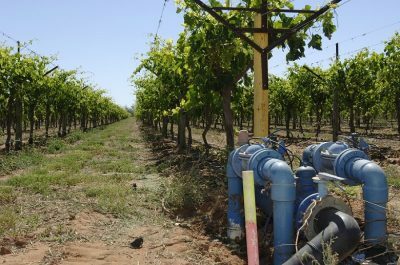 Interstate water trading has allowed irrigators to source water from a broader range of users and allow different water management options to develop. These rules all work together to improve the transparency and efficiency of Basin water markets. The MDBA have identified a range of potential inconsistencies with the water trading rules which could hinder the operation of some aspects of the water markets. We are working with Basin States and others to resolve these high priority issues. Post GPO Box 1801, Canberra ACT 2601.